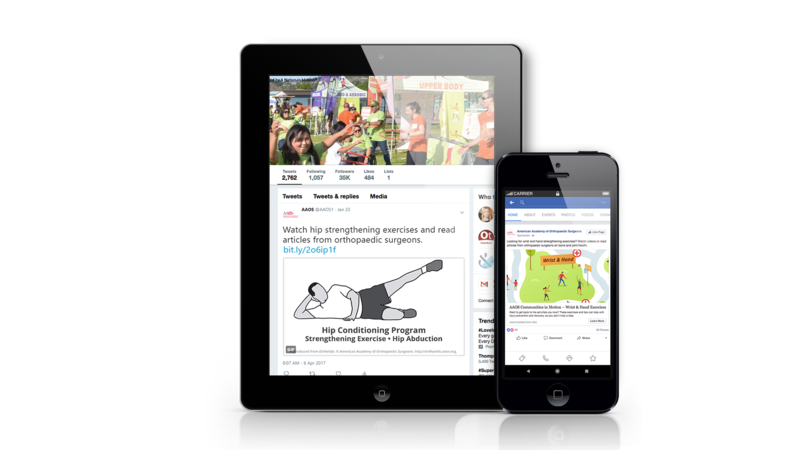 The American Academy of Orthopaedic Surgeons (AAOS) was looking to expand the reach and accessibility of their A Nation in Motion program. This meant crafting a strategy focused on educating and empowering local communities to stay active and take care of their bones and joints. 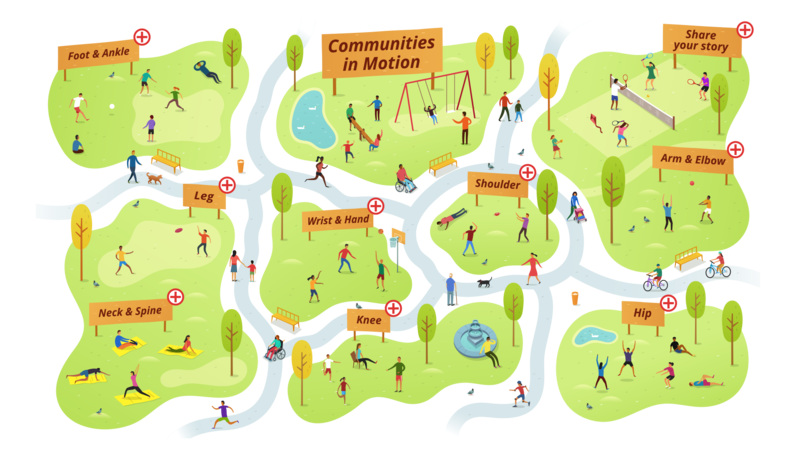 Design and develop a virtual park experience, Communities in Motion, to showcase and promote proper joint care. We then planned and implemented a paid social media campaign to drive and measure traffic to the site. 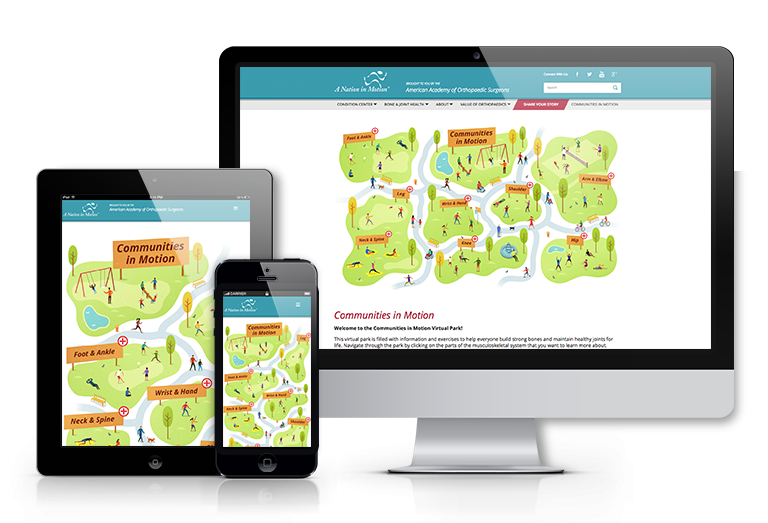 A Facebook ad campaign targeting users interested in joint and bone health drove more than 17,000 visitors to the virtual park experience in less than 4 months. The campaign resulted in a click-through-rate (CTR) and cost-per-click (CPC) that dramatically outperformed industry averages. To enhance the AAOS virtual park experience, we filmed a series of videos at the event, bringing the activities to those who couldn’t attend.